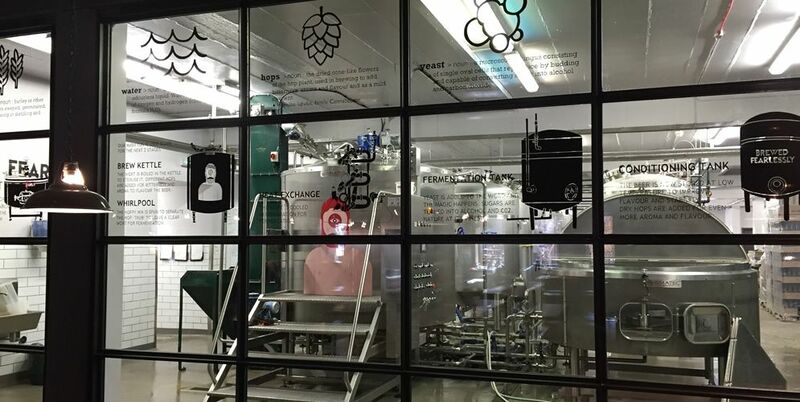 Between 2014 and 2018 Amalgamate had a four-year contract with Drygate Brewing Company Limited to provide a consultancy service and safety management system planning, as well as fire safety and first aid training courses. Drygate is the first ‘experiential’ craft brewery in Glasgow, built on an annexed corner of the Tennent’s Wellpark Brewery site and taking its starting point from one of their oldest remaining buildings. It sits on the oldest brewing site in Glasgow, dating back to 1556 and having been in constant use ever since. Drygate is a collaboration between Williams Bros. and C&C Group, and provides a 24 hectolitre craft brewery with state-of-the-art equipment, a small ‘Studio Kit’ brewery space where local enthusiasts can brew their own beers with input from the Drygate experts, a full-service restaurant, bars, events space, and sun terrace, accommodating up to 650 people. “In a complex operating environment such as ours, we needed a consultant that could cater to not just our front of house operation but also to the demanding challenges of running a full production brewery alongside a 650 capacity, multi-faceted venue. Amalgamate [was] critical from the beginning in making sure that we foster a culture of doing things safely above any other concern. That mean[t] keeping us up to speed with all the latest developments in legislation, working in partnership with us to form systems that were applicable to the business needs, and chairing our safety team to drive continuous improvement. Drygate has a diverse risk profile. Whether it’s managing a full capacity of visitors, carrying out the day to day brewery operations, catering for large numbers in its kitchens, or looking after their sizeable team of employees, it is crucial that the company is managing health and safety effectively. To do this, they required expert assistance and that is where Amalgamate came in. to protect themselves and members of the public on a day-to-day basis, as well as in the event of an accident or emergency. Providing Emergency First Aid at Work, Fire Safety, Fire Warden and Extinguisher training. Having been involved with the business since its infancy, our Managing Director Allan MacDonald and a team of consultants and trainers were able to help shape Drygate’s growing safety culture. Setting early foundations and adopting a proactive and sensible approach to safety helped to create a positive attitude towards safety ownership across the team, allowing them to operate in a safe and creative environment, and encouraging a positive approach to the wider aspects of safety management. Amalgamate worked on a retained basis and undertook the role of Competent Safety Advisor on behalf of Drygate, providing advice and support and looking after their ongoing safety needs and the demands of the business. We worked closely with their management team, developing our working relationship, building trust and ensuring that we were fully aware of their activities and safety challenges at all times. Through developing a strong Health and Safety Policy and procedures, as well as establishing a clear, easily understandable Safety Plan, we were able to identify and track key actions relating to the development of Drygate’s safety management; and by creating a safety committee, we encouraged the development of an improved safety culture throughout the company at all levels. Together we carried out a detailed exercise in hazard identification, and developed Risk Assessments, Standard Operating Procedures, and audit and inspection programmes. We found effective solutions for day-to-day operational issues, introducing, for example, a simple notice system to display details of potentially hazardous activities to external contractors/visitors upon entering the brewery space, designed to increase their awareness of risk; and also implementing the use of ladder platforms in place of scissor ladders, thereby reducing ongoing risk and aligning with improved working at height measures. We introduced staff inductions and safety training programmes, including providing Emergency First Aid at Work, Fire Warden and Fire Extinguisher training courses, and encouraged engagement with chemical suppliers to provide COSHH training. We kept a close eye on the need for repeated introductory courses as well as refresher training, to deal with the high staff turnover that is standard in the hospitality sector. 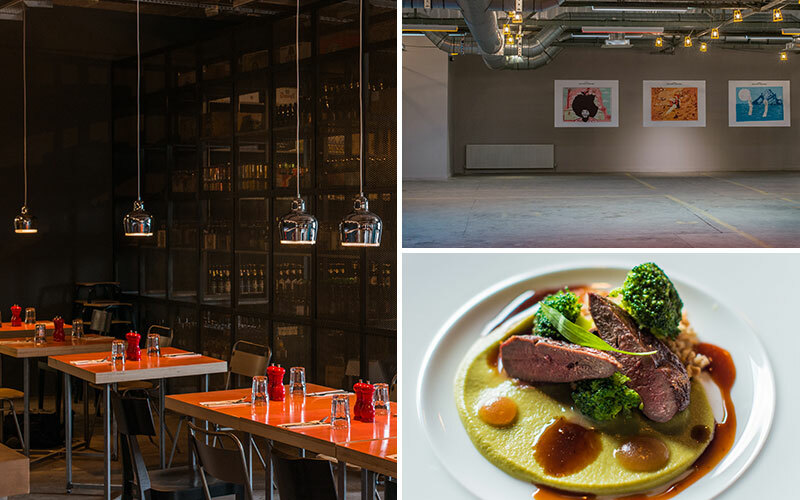 Our Fire Safety Consultants carried out a detailed Fire Risk Assessment of the property, advising on the appropriate remedial actions, developing a Fire Safety Policy, and working with the Drygate team to develop the appropriate evacuation procedures. In addition, we were integral in obtaining changes to the business’s venue license, giving support and advice in regard to venue capacity, reviewing external consultants’ reports, and liaising with Strathclyde Fire and Rescue Fire Safety Officers to successfully gain increased capacity in the venue license, providing a positive financial impact for the business. We also operated as the Competent Safety Advisor in relation to the large ‘Craft Beer Rising’ event held on their premises, which brought increased business and raised their public profile. 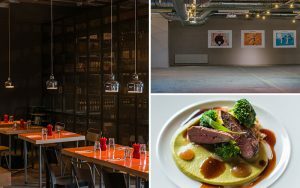 Given the nature of this multifunctional business it was vital that Drygate ‘hit the ground running’ when it came to safety. Our early engagement allowed Amalgamate to successfully integrate into their team, advise them appropriately, and work collaboratively in developing their Health and Safety Management System. Our expertise ensured that all health and safety matters were controlled, so the Drygate team could focus on what they do best. We believe we helped to create something truly unique where everyone from the bar staff to the directors take true ownership of the safety needs of the operation, the customers, the people and the overall business. Our professional services are designed to offer flexibility to the businesses we serve. If you would like to get in touch to find out more about our work with Drygate, or the services we can provide, call us on +44 (0)141 244 0181 or email info@amalgamate-safety.com.